Manchester United striker Wayne Rooney has agreed to play for Everton in a testimonial for his "hero" and former team-mate Duncan Ferguson. 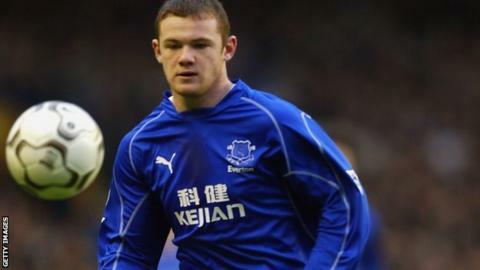 Rooney, 29, will play for the ex-Everton striker against Villarreal at Goodison Park on 2 August. The Everton academy product has not always been warmly welcomed at his old ground since moving to United in 2004. He angered some Everton fans in 2008 by kissing his United badge on his return to his former club. "As a young lad growing up in Croxteth, Duncan Ferguson was a hero of mine," Rooney told Everton's official website. "I cannot think of a better way to thank Dunc for all he did for me than turning out in his fully deserved testimonial match. Had he not asked me to play I would have gone and supported him on the day as I am sure most other Evertonians will."